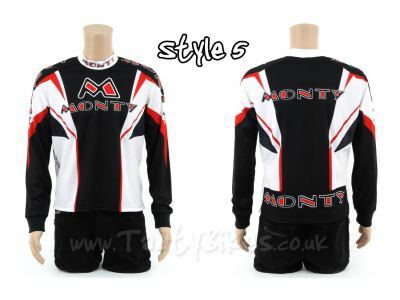 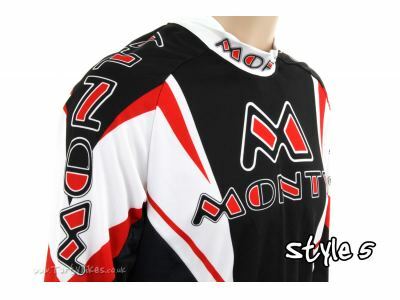 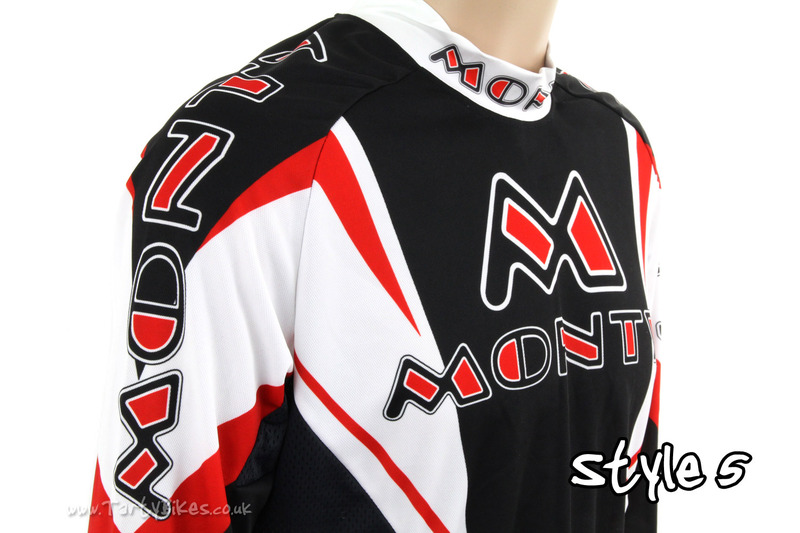 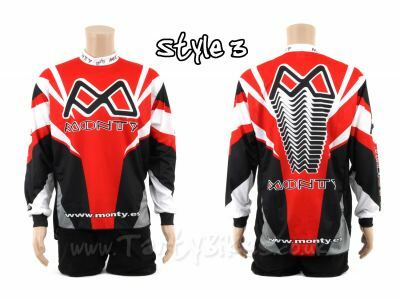 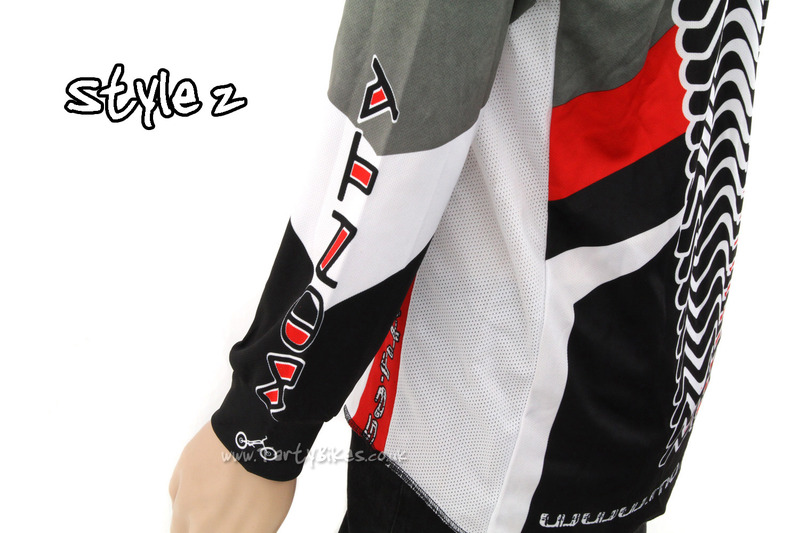 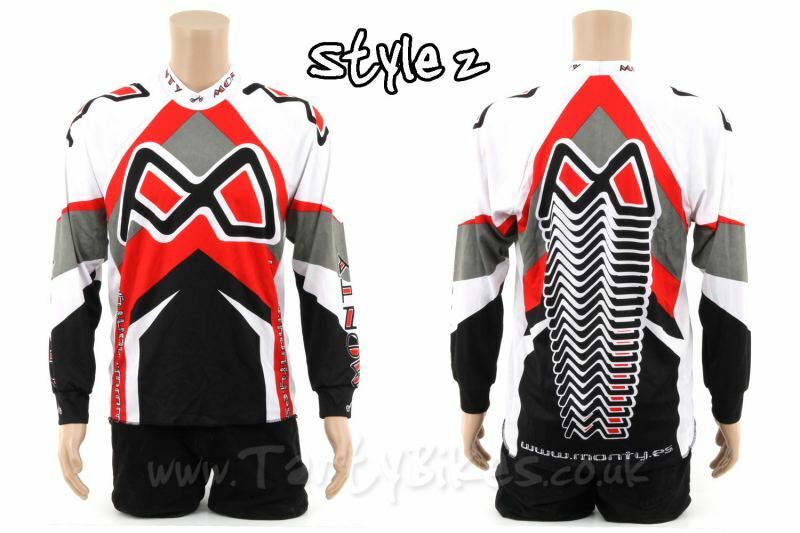 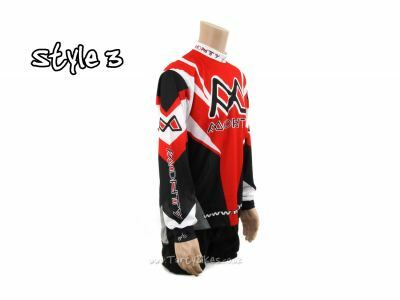 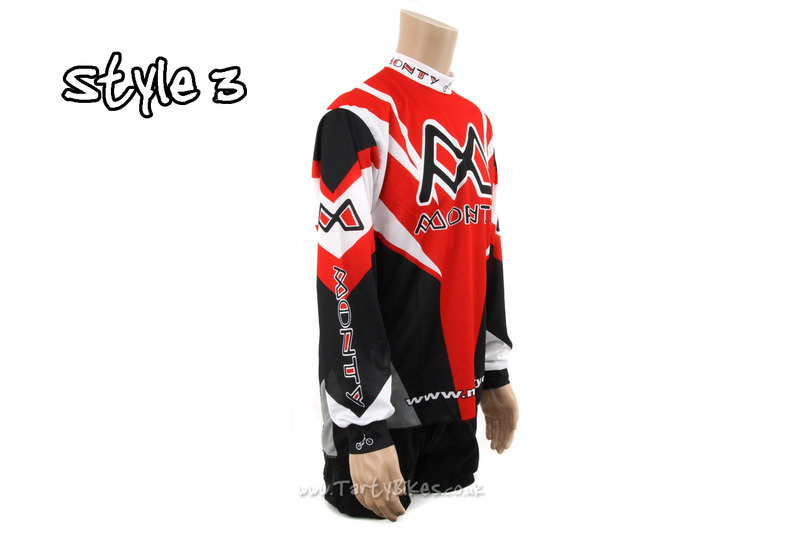 - Three styles of riding jerseys from the original biketrials brand Monty! 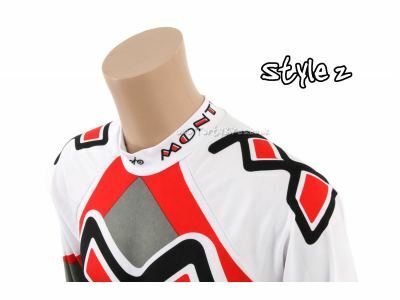 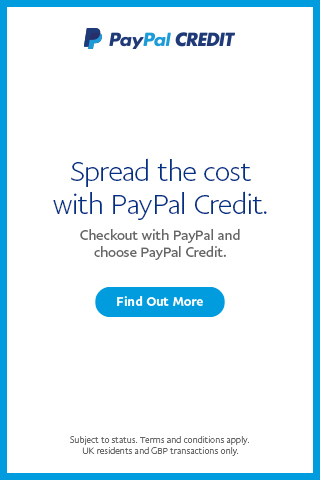 - Lightweight, breathable material prevents you from overheating. 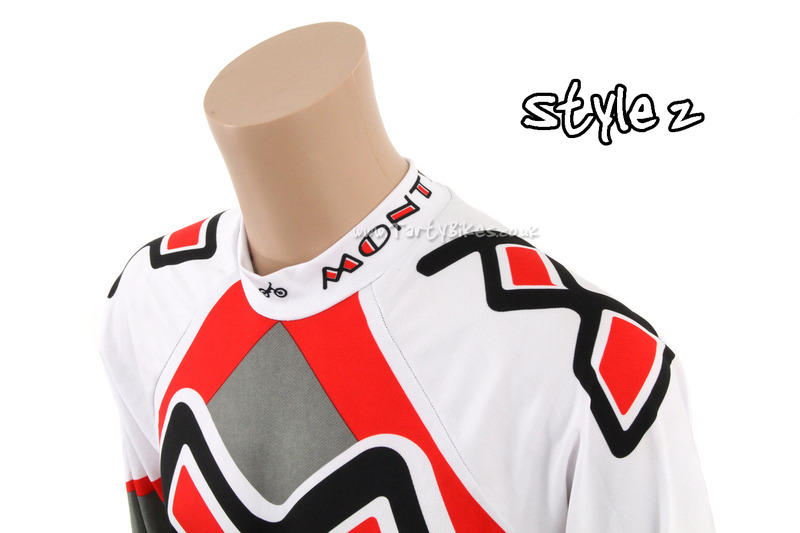 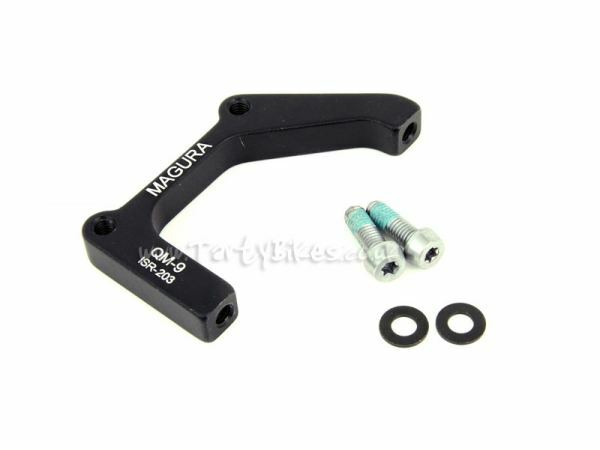 - Stretchy material offers fantastic flexibility and is as non-restrictive as possible. 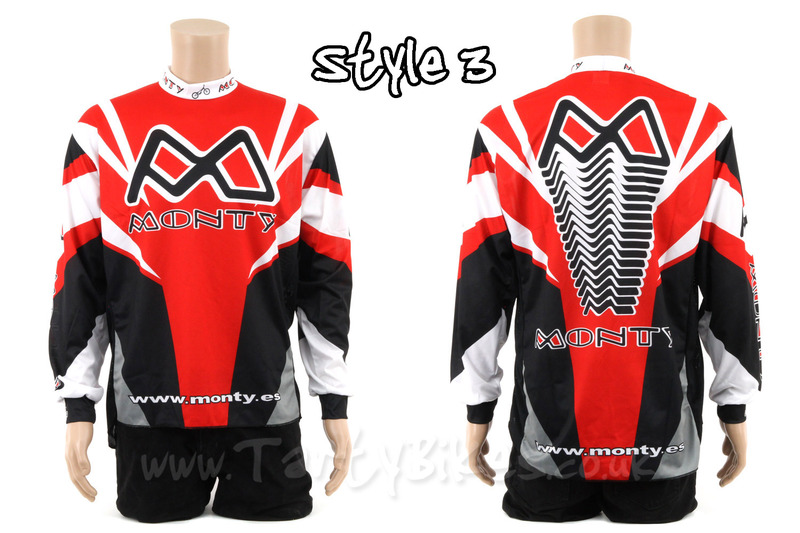 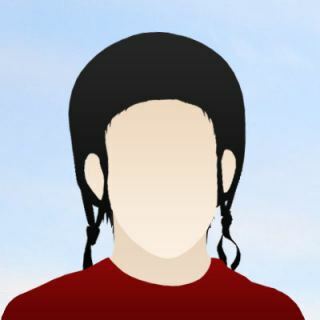 - Three designs, each of which are also available in short-sleeve versions. 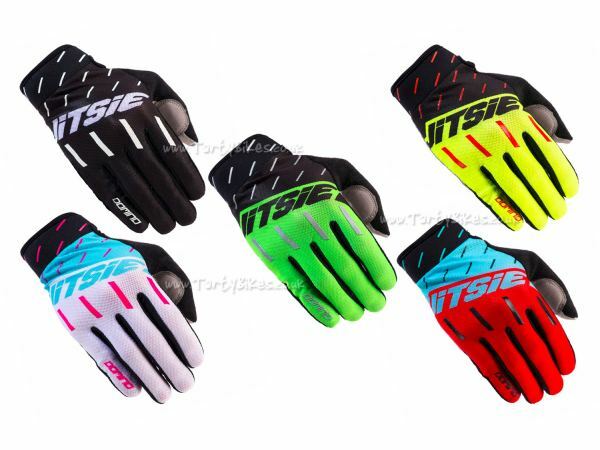 - Bold, vibrant colours are very eye-catching . 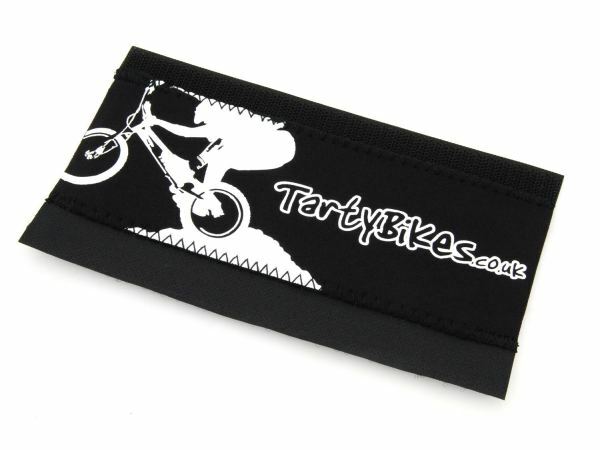 - Perforated side panels allow heat out and cool air in easily. 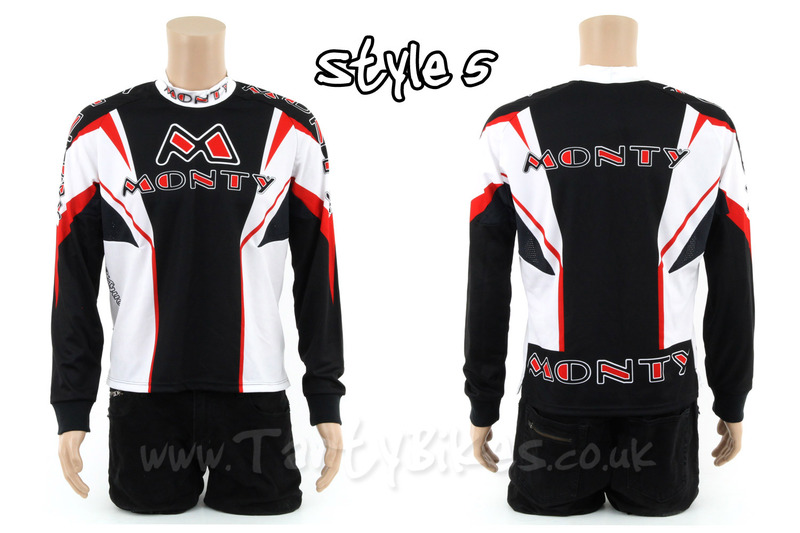 - Available in a range of sizes across the three styles - please see Additional Information tab for sizing charts. 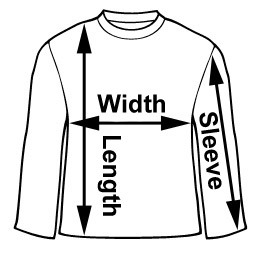 Please note that the "Length" is measured on the front of the jersey, the back is slightly longer. 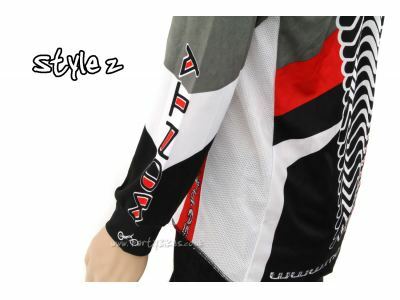 Extra Large 60cm / 23.6" 73cm / 28.75" 67cm / 26.4"
Large 58cm / 22.8" 72cm / 28.34" 67cm / 26.4"
Medium 57cm / 21.25" 68cm / 26.75" 67cm / 26.4"
Small 54cm / 22" 68cm / 26.75" 66cm / 26"
X Small (14) 50cm / 19.7" 63cm / 24.8" 65cm / 25.6"
XXXXX Small (6) 39cm / 15.35" 49cm / 19.3" 45cm / 17.7"
XXXXXX Small (4) 35cm / 13.75" 47cm / 18.5" 43cm / 16.9"